Of all the comic book characters that feature in the Marvel Cinematic Universe, it’s arguably the treatment of The Hulk that makes the least sense. This icon of popular culture was the focus of the second instalment in the juggernaut franchise – 2008’s The Incredible Hulk – but has essentially been relegated to the status of supporting role ever since. Along with Thor, the hero was entirely absent from Captain America: Civil War, having flown off into the sunset as Sad Hulk at the end of Avengers: Age Of Ultron. 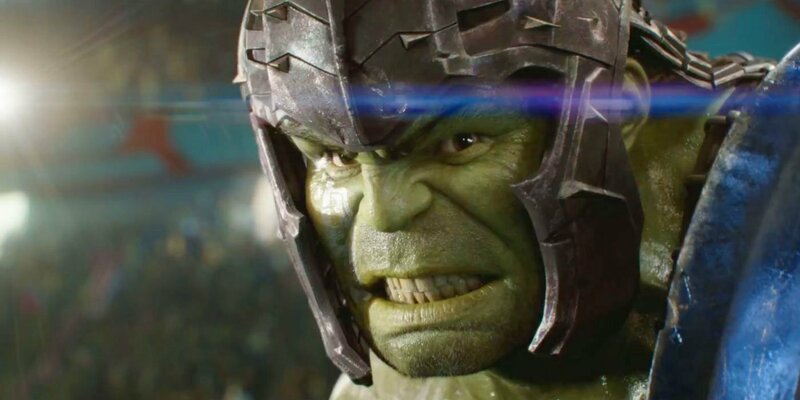 His absence will soon be explained in Thor: Ragnarok – due for release on November 3rd – but the frustration of Hulk fans around the world continues to grow and as Mark Ruffalo told us just this weekend, there’s not ever going to be another solo film featuring the character. At least, not with him in the role. While that’s definitely disappointing, it seems like Marvel is trying to make up for it a bit by giving the Hulk an increased presence in Avengers: Infinity War. Fandango caught up with Ruffalo at D23 yesterday and the actor mentioned that there’s a huge change coming for the character. So, there you have it. A multi-film arc is on the cards for the fan-favorite hero, and while that’s obviously not as exciting as getting a standalone outing for the Hulk, it’s still great to hear. If you ask us, more Mark Ruffalo can only be a good thing and we’re certainly eager to see what Marvel’s got planned. Avengers: Infinity War has been scheduled for release on May 4th, 2018. There’s plenty to look forward to between now and then as well, what with both Thor: Ragnarok and Ryan Coogler’s Black Panther cramming up the pipeline, the latter of which has been compared to an “operatic family drama.” Suffice it to say, it’s a good time to be a Marvel fan.